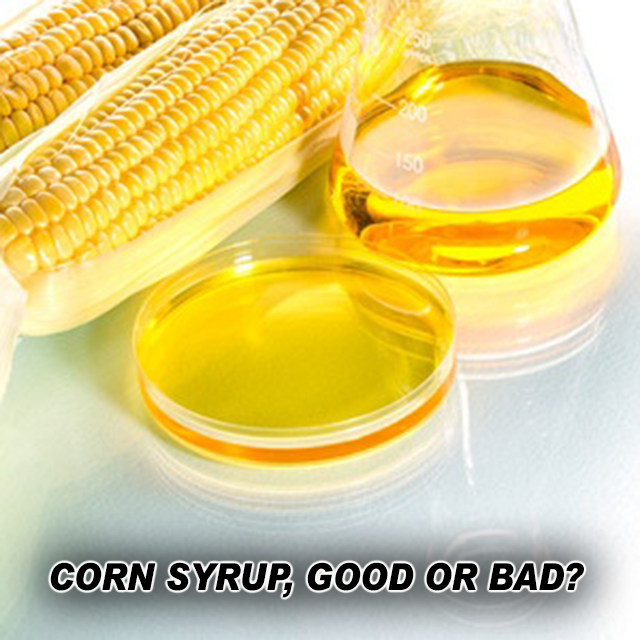 Corn Syrup - Good or Bad? Corn syrup is produced from the starch of maize (corn) and contains varying amounts of maltose and higher oligosaccharides, depending on the grade. Corn syrup is used in foods to improve texture, add volume, prevent crystallization of sugar, and enhance flavor. Recent research conducted at the University of Utah shows that corn syrup is more toxic to female mice than table sugar. It is proven to affect fertility and cause premature death. Even though corn syrup manufacturers claim that it is not any worse for you than white sugar, and contains up to 55 percent fructose, independent research shows it may contain closer to 65 percent which can explain its toxicity and health implications. High consumption of added sugars including fructose is a primary contributor to most chronic diseases, starting with insulin resistance, which can then progress into related diseases like diabetes, heart disease, cancer, and other serious health risks. Why is Corn Syrup so Popular? Processed foods are major profit generators for many companies and therefore they don’t have promoting healthy foods on their agendas. We now know beyond any doubt that the ‘western diet’ is directly linked with increased rates of obesity, diabetes, heart disease, hypertension, and cancer. Yet in order to maintain profits from questionable products, we are still being told that everything in moderation is good for you. This denial is extremely dangerous as the sugar content of most processed foods is proven to be deadly in the long run! Just think how absurd it is that foods and drinks promoted as healthy are actually very bad for you. For example: Vitamin Water contains around 30 grams of sugar per bottle, equating to THREE Krispy Kreme glazed doughnuts. Just that one bottle is also TWICE the daily recommended fructose allowance for people with insulin resistance! While all sugar is bad for you processed fructose tends to cause more severe metabolic dysfunction because it’s more readily metabolized into fat than any other sugar. The evidence is quite clear: Reducing your processed food consumption and switching to whole foods is the only way to reduce your risk of heart disease, cancer, diabetes, and Alzheimer’s. Refined sugar, processed fructose, grains, and other sugar-forming starchy carbohydrates are largely responsible for your body’s adverse insulin and leptin reactions, which underlie these and other chronic disease states. Limit your sugar intake to a maximum of 15-20g per day. In order to do that swap processed foods for whole, fresh and organic foods. Cook your own food and be sure what’s in it. It will make you not only fit and energetic but also healthy! You may say it’s too expensive, but if you take just a little of your time to search for fresh food farmers markets, you will not only save money but also support local, organic businesses. Maspeth Kickboxing popular and intense Kickboxing class provides benefits for the body and mind in a variety of ways. Call Us At (718) 255-1993 Or Simply Visit us online at www.maspethmartialarts.com to try our program for as low as $19.99.